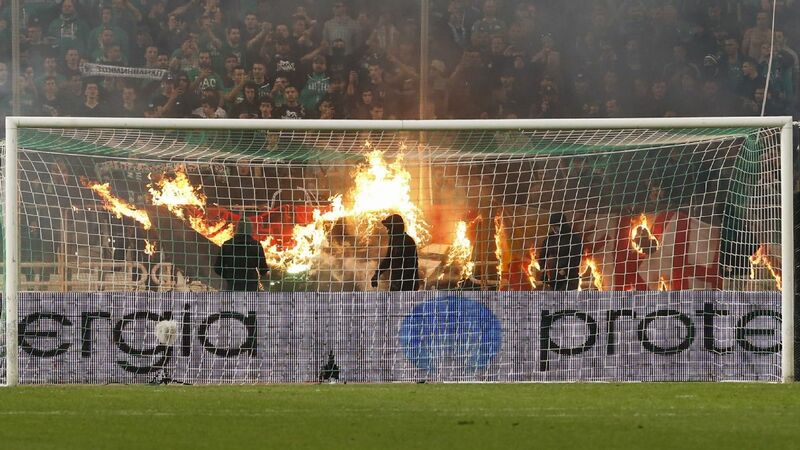 The Greek league suffered from fan violence last season. The Greek championship had been due to start on Saturday but Stavros Kontonis said it would be delayed until "at least" Sept. 5. In a statement on Thursday, Kontonis said that police officials suggested the postponement, arguing that a festering squabble involving the Greek football federation, league organisers and clubs posed serious security concerns if matches went ahead. Kontonis said there were fears that "the slightest excuse might trigger extensive violence" between fans. Several clubs had threatened to abstain from league games amid a dispute over how referees are chosen. The federation has accused Kontonis of meddling in its affairs.